Hey, guys – is there snow in your forecast, too?! This is a crazy year, weatherwise. For the last couple of months people have been saying, “Well, at least it’s not as hot as last year…” but when we hit snow in May I think we can all agree that this weather is crazy. Of course, the beginning of May means that the Summer issue of Crochetvolution is up! I just want you to know that Charlie took that picture on the left for me. That kid is shaping up to be the best photographer I’ve ever had. He’s only six but he is very patient and is willing to take picture after picture after picture until we get it right. I told him that’s the difference between a good photographer and a bad photographer. Anyway, you should head over and check out the latest issue. It’s got this awesome cardi, a jumper for little girls, some shawls, some small beaded projects and, of course, the articles you read and love. I hope you like it! 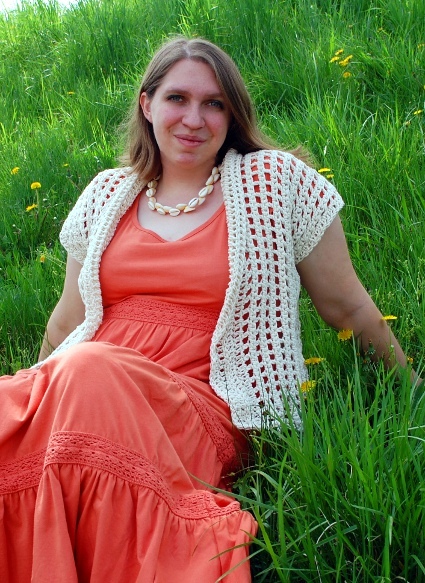 This entry was posted in Crochetvolution, Life in General, Patterns. I’m afraid I don’t have a video of it.